Is Resident Safety a Common Concern For Your Senior Care Campus? Whether residents encounter a minor nuisance or a serious event, it is difficult for staff to predict when and where help is needed. When residents are in distress, standard pull cords are not always within reach, and depending on circumstances, it can take hours until a staff member checks in. Time can have a serious impact in many situations, and knowing the moment a resident needs help, could potentially save a life. RTLS In Motion uses a discrete and ergonomic nurse call pendant that is designed to be worn by residents at all times (around the neck, on the wrist, on the belt, etc). Our nurse call system has Real-Time Location technology, making it easy for staff to view the location of residents, equipment, and other staff members, on an easy to read map of your facility. Staff will receive an alert the moment a resident requests assistance, along with their location. Since RTLS In Motion can be worn to bed, in the shower, out to dinner, or while participating in activities, it is an excellent emergency call device that is always within reach. If a resident encounters a problem, a simple push of the button on their personal pendant will attract the attention of staff. Residents no longer need to struggle to find and reach a scarcely populated pullcord. With our mobile friendly software, staff will receive instant alerts while on the go, giving them the advantage of knowing who needs help and where to find them. This allows staff to be more productive while increasing safety since they can perform regular tasks away from nurse stations, but without missing any alerts. With location history tracking, RTLS In Motion can also help staff control infections. It uses location history to help staff determine where an infection might have begun, who was in contact with the infected area, and what pieces of equipment were in proximity. With the ability to track and control infections, RTLS In Motion allows staff to better protect residents. Whether your senior care facility is caring for independent living residents in excellent health, or residents with a varying degree of Dementia or Alzheimer’s disease, our Real-Time Location System can assist with the control – and possibly help trained healthcare professionals identify/confirm early signs – of cognitive degeneration, or depression behaviour. Momentum Healthware strategically places wireless pendant sensors in restricted areas, and will set up customizable and invisible boundaries to notify staff should a resident wander into another resident’s room, staff room, mechanical room, etc., which keeps residents safe, and out of trouble. In contrast, our software can send staff alerts if a resident has not moved from their bathroom in 5 hours, or their room in 20 hours (customizable to any length of time), and suggests that someone should check in to ensure the wellbeing of the resident. Our location history tracker logs each resident’s movement into different areas, which trained healthcare professionals could use to identify trends, indicating a medical issue. If monitored on a short-term basis, frequent bathroom visits could suggest to a trained healthcare professional that a resident may have a bladder infection and should be examined. Over a long period of time (6-12 months), a trained healthcare professional might pick up on trends suggesting depression, cognitive degeneration, or a physical impairment, such as a resident is increasing the amount of time spent in their room, is not participating in activities, is skipping meals, or if there is an increase in the number of restricted area alerts. 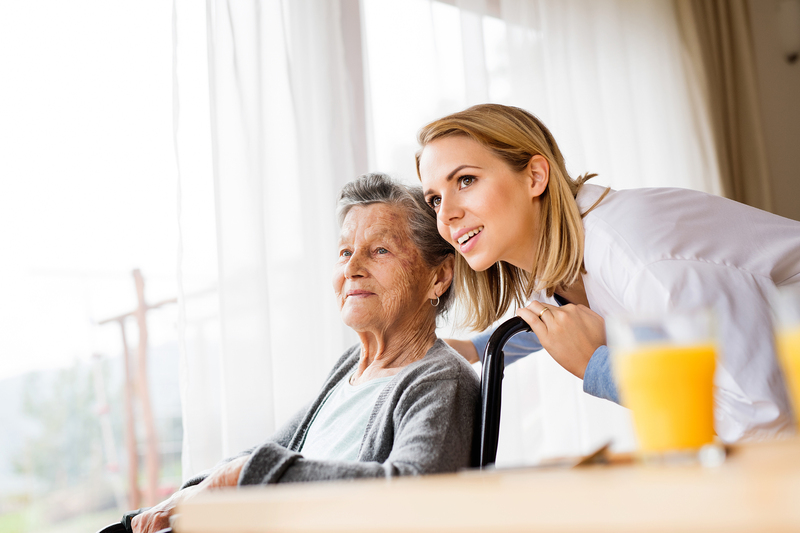 RTLS In Motion as a wireless nurse call system, paired with the location history and automatic logging, provides senior care facilities with enhanced insights into their operations, and increases resident safety, period.